Step 2 : Goto www.codeplex.com , register(or sign in) , then click on “Create project” . There you will put the name of the project (disk2vhd for us) and a description for it. You will be redirected to the page of the project. Step 3: For putting the source code , you must download the Codeplex Client from http://www.codeplex.com/CodePlexClient – click on download. Unzip the file , if necessary. Now verify that in the source code for your project on codeplex ( for me it is http://disk2vhd.codeplex.com/SourceControl/ListDownloadableCommits.aspx ) you have at least one change set. Step 6: Ensure that the people that want to try your project can have the binary sources without problems . 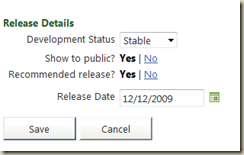 Go to downloads , click new release (for me it was http://disk2vhd.codeplex.com/Release/ProjectReleases.aspx?Create=true ) and put the name and description. 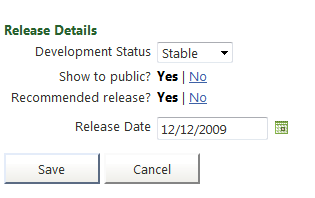 Also put the development status , show to public and recomended release to stable, yes and yes. Step 7 : Choose a license . Step 10 : You’re done! Congratulations!